In 2014, a group of passionate winemakers and restaurateurs got together and embarked on a endeavor to create a négociant urban winery in the Denver metro area. Our mission was to work with other winemakers and vineyards from prominent wine regions from around the world and source the grapes, juice, and wine to make our brand of Carboy wine. 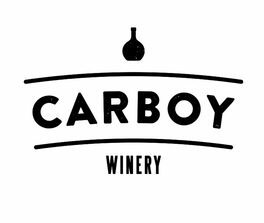 In September of 2016 we opened the doors to Carboy Winery in Littleton, Colorado featuring 14 wines harvested from regions in California, Washington, Oregon, Italy, and France. In fall of 2017 in addition to our out-of-state harvests, we harvested 7 varieties from Western Slope regions in Colorado. Unique to the market, at Carboy Winery you not only can purchase world class wine in a bottle but also in a one liter refillable Carboy growler fresh from the tap. Stop in and enjoy a beautiful mountain view from our patio, enjoy some great food, and great wine! Driving South on Santa Fe Dr: Take your first right after Brewery Ln. Driving North on Santa Fe Dr: Make a u-turn at Brewery Ln, then take your first right.